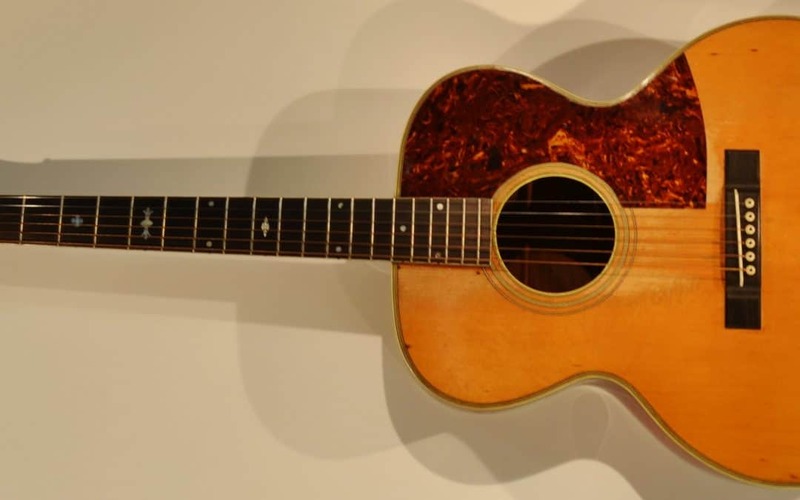 The Larson Brothers Invented The Steel String Flat Top Guitar ! Carl and August Larson immigrated to the United States from Sweden in the mid-1880s. They were skilled cabinet makers and went to work for Robert Maurer, who built Champion brand guitars and other instruments. In 1900, health issues forced Maurer to sell his company. The Larsons became the owners and began building instruments under the “Maurer” brand. They built thousands of incredible instruments under many brand names, including guitars, mandolins, harp guitars, and other instruments. Their instruments rival the golden era of any other manufacturer. Please visit our website, www.larsonguitars.net for many pictures and informational resources regarding these amazing instruments.